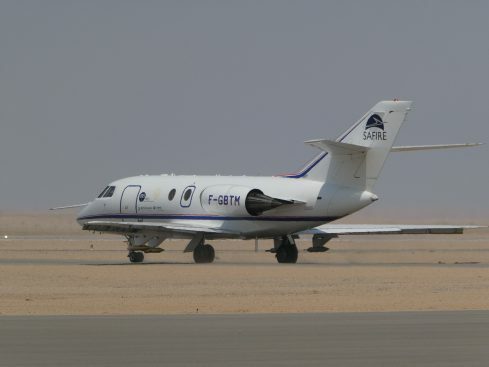 The airborne campaign was conducted by the French Falcon 20 environmental research aircraft of Safire, deployed from the Walvis Bay International Airport from 5 to 12 September 2017. 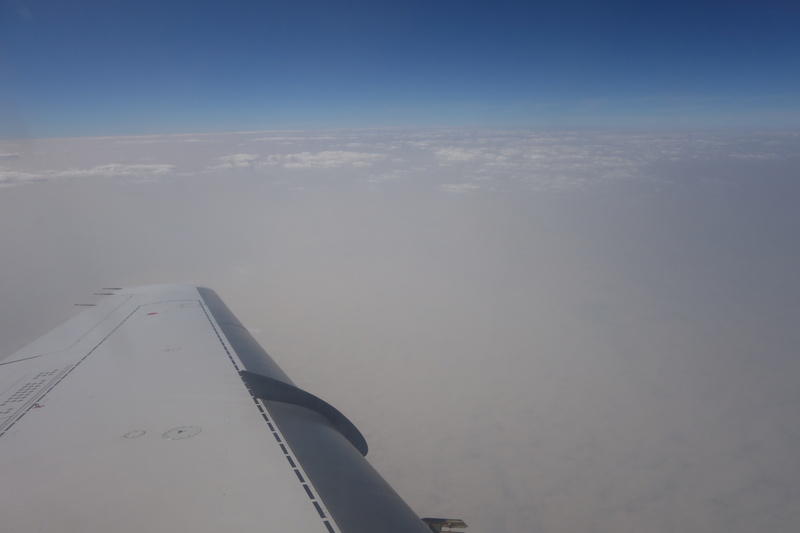 The aircraft performed 10 research flights (~30 flight hours) over northern Namibia, focusing on mineral dust emission and BBA, and their subsequent transport over the marine clouds of the Atlantic Ocean. Flights were coordinated from the AEROCLO-sA Operations Center (OC) in Walvis Bay. One daily briefing meeting was organized at 0900 UTC, and included overviews of the meteorology and chemistry/aerosol conditions prepared by the forecast team, composed of AEROCLO-sA scientists from Europe and Southern Africa, with support of forecast team of the CLARIFY project. 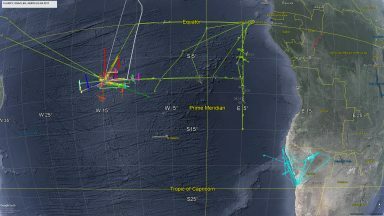 The overviews were based on the model and observational products available via the OC website (aeroclo.sedoo.fr), and by the additional observations from Henties Bay and o ther instrumented sites such as Windpoort. Daily briefing packages and meeting reports were made accessible via the OC website. Flight plans accommodated several objectives (e.g., dust emissions, cloud-aerosol interaction, radiative forcing assessment) taking into account the endurance of the Safire Falcon 20 aircraft. The was equipped with the high spectral resolution lidar LNG measuring atmospheric reflectivity at three wavelengths. It also housed the MICROPOL-UV and OSIRIS instruments measuring total and polarized radiance at several wavelengths between the ultra-violet and the middle infrared. The OSIRIS instrument is the airborne demonstrator of the future space-borne sensor 3MI, heir of POLDER-3. For the first time, the solar photometer PLASMA was mounted onboard the Safire Falcon 20, to measure the extinction by aerosols in cloud-free conditions or above stratocumulus. A dropsonde releasing system, up- and down-looking pyranometers and pyrgeometers, a nadir-facing CLIMAT infrared radiometer, together with pressure, temperature, humidity and wind sensors, and optical sensors for cloud and aerosol microphysics completed the instrumental suite of the Falcon 20.